Freebie alert! 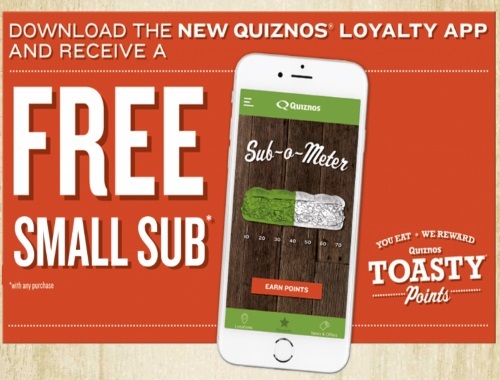 Get a Free Small Sub with any purchase from Quiznos when you download their new Quiznos Loyalty App! For every purchase you will also receive points called the Toasty Points, every dollar is one Toasty point. You can redeem your points for free sandwiches, drinks, chips, salads etc. Please use the invite code Justine2630 to earn extra points and get a Free Sub!